Why not use an interstate backloading company when moving to Brisbane? The Backloading Company are perfect to use for any home or office move to Brisbane. They can move you from anywhere in Australia including weekly moves to Brisbane from Adelaide, Melbourne, Sydney, Canberra, Perth and Hobart. Moving to Brisbane doesn’t have to be hard because The Backloading Company can do it all for you. That not only includes experienced Brisbane removalists and movers but also great up to date customer service on any Brisbane move you can think of. 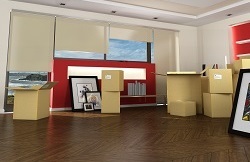 Covering all home and office furniture moves to Brisbane. There are plenty of reason to move to Brisbane. Plenty of work, activities and weekend adventures going on in Brisbane, Queensland. Every day can be a new experience if you choose to explore the beautiful south east part of Queensland which includes Brisbane. You will not regret moving to Brisbane and the most important part is The Backloading Company can make it all happen for you. Simply fill out an online Brisbane moving quote form or call the office for your free removalist quote today. What is Brisbane all about? Brisbane is considered Queensland states capital. The city has a population of over 2.4 million and is the third largest city in Australia. Brisbane can also be referred to as BrisVegas or simply Brissie. Brisbane residents account for 19% of the national population and is one of the oldest cities in Australia. Founded in 1824 upon ancient homelands of indigenous Turrbal and Jagera peoples of the first nation. The size of brisbane is approximately 15,826 km². Brisbane bostes a lot of coastal features and with plenty to do from fishing to lookouts. You can visit the Lone Pine Koala sanctuary, take a trip to Moreton Island and snorkel. Visit the XXXX Brewery, Abseil the cliffs at Kangaroo Point. Visit Tambourine tropical rainforests or take a Brisbane river cruise. . Check out the Top 10 Things to do in Brisbane and while you’re at it you can also check out history and general information on the Government Website. If you like gardens, then Brisbane has a beautiful one called the Brisbane Botanic Gardens. 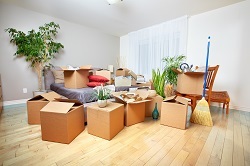 Moving to Brisbane is an easy process for The Backloading Company. Backloading is basically loading your furniture and or goods alongside others on a truck traveling back to Brisbane in Queensland. You may want to move from Adelaide to Brisbane, Sydney to Brisbane, Melbourne to Brisbane, Perth to Brisbane, Canberra to Brisbane, Hobart to Brisbane. The Backloading company can provide moves from all state and territories in Australia including South Australia to Brisbane, Victoria to Brisbane, New South Wales to Brisbane, Australian Capital Territory to Brisbane, Western Australia to Brisbane and Tasmania to Brisbane. 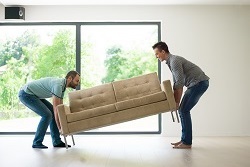 Why not use an interstate furniture Brisbane moving company that has done it all before and continues to be a leading Brisbane removalist, mover and backloader.